If you’re considering a switch to biofuel from conventional on-road diesel but don’t know how to do it, Cherry Energy can help. Biodiesel is an alternative fuel produced from renewable domestic resources such as plant oils, animal fats and even used cooking oil. According to the EPA, biodiesel reduces greenhouse gas emissions by 57 percent or more compared to petroleum diesel, making it one of the most cost-effective ways to address climate change. Biodiesel also sharply reduces major tailpipe emissions, which include some of the nation’s most dangerous pollutants. Biodiesel contains no petroleum, but it can be mixed with petroleum diesel to create a biodiesel blend. These biodiesel blends can be used in diesel engines with little or no modifications. 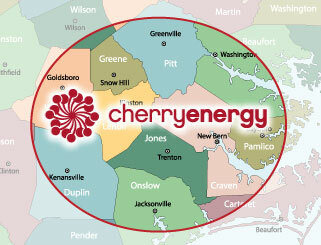 Cherry Energy can blend biodiesel to your specifications, with grades ranging from B5 through B100. Go green with biodiesel from Cherry Energy. Contact us today to get started.